There's been no shortage of exciting new gear on display on the NAMM floor in Anaheim, and we've done our best to see everything that we can. 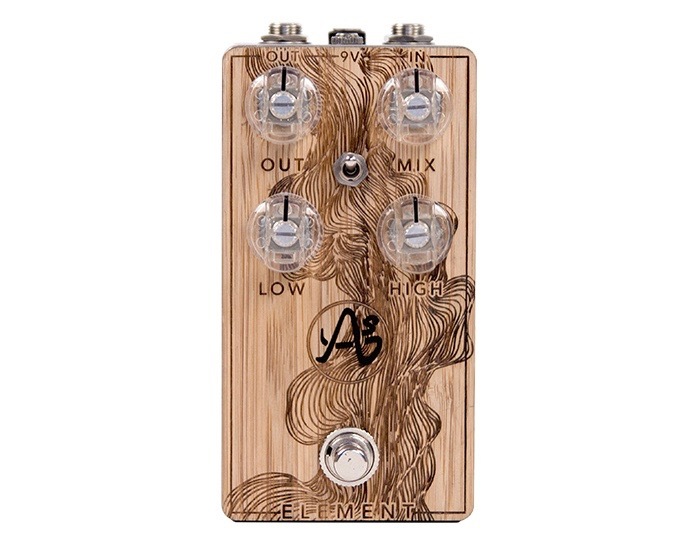 One stop we absolutely made sure to make was by the booth of the French boutique pedal builder Anasounds, which unveiled a brand new stompbox called the Element Spring Reverb. As you've perhaps guessed from its name, the Element Spring Reverb is a spring reverb pedal, but not the kind that emulates the classic effect digitally as most stompboxes do. Rather, this pedal is, somewhat incredibly, an all-analog unit that's built with genuine springs. Players plug into a standard-sized stompbox that features standard parameter control knobs that you'd find on any other stompbox, but then that stompbox is connection to the tank—the unit that houses the actual spring that makes the sounds Anasounds promise sound like vintage Fender Twin Reverb units. Check it out in the video above for yourself, and be sure to let us know what you think in the comments below. For all of the latest product releases from this year's NAMM convention, see our ongoing NAMM 2019 coverage here or click the orange banner below.